It reminded me of a sermon about a year ago, when I felt led to wrap the message with the fruit of the spirit…and rattled of 8 of the 9. After the service, one of the youth came up to me and said, “you forgot ‘faithfulness’.” I loved that she did that for three reasons: 1) It meant she was paying attention, 2) It meant that she knows the scriptures herself, 3) she felt comfortable to let me know where I stumbled. What if we approached the sermon with the same attitude? 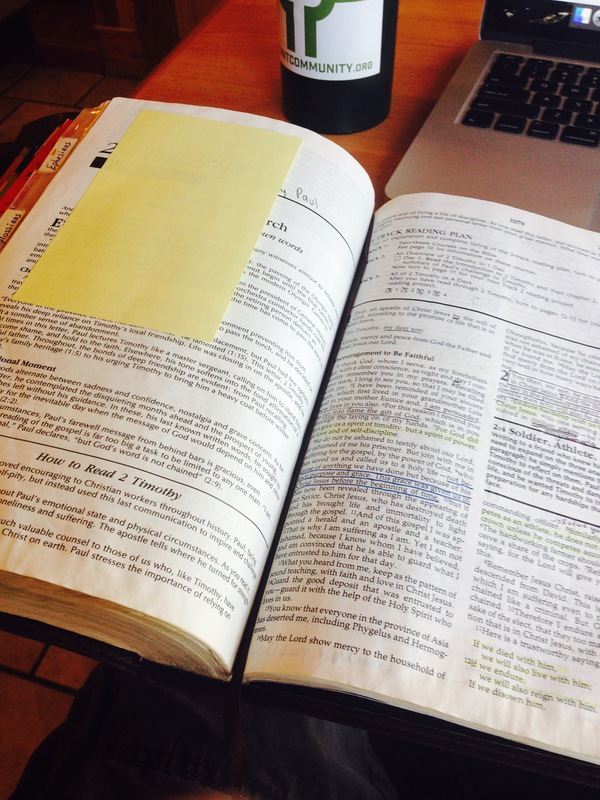 Hungry not to be spoonfed by a showy pastor, but to be nourished by the Living Word of God? His point is that he frontloads his sermon with culturally relevant data, interesting narratives, figures and illustrations, but by the end he should be pointing us to the gospel of Christ each and every Sunday. It should be delivered in such a winsome way that we are enraptured by the message of God who would go to such extremes for us. It may not be noteworthy, but worthy of the Gospel. Now, I do hold to high(ish) view of the sermon, but like the professor, I view it as a mechanism that should drive each listener deeper into God’s Word for themselves. So rather than idolizing our words, how can our words, as preachers and teachers, take folks one step deeper into the Word? And maybe it’s some Sundays where we stumble so people see the One who never stumbled.